Guidelines for the performance and interpretation of cardiac computed tomography are summarized. There is wide agreement across the globe in the guidelines found around the globe with respect to class II and III indications for the use of cardiac CT. There is also a strong agreement among the guidelines across the globe regarding the use of cardiac CT in low- to intermediate- and intermediate-risk patients. ACR–NASCI–SPR practice parameter for the performance and interpretation of cardiac computed tomography (CT). 2016. Available from: http://www.acr.org/~/media/f4720a18f03b4a26a0c9c3cc18637d87.pdf. ACR Cardiac CT Certificate of Advanced Proficiency Cardiac CT: American College of Radiology. Available from: http://www.acr.org/~/media/ACR/Documents/PDF/Education/Exams/CoAP/CoAPBrochure.pdf. European Diploma Cardiac Imaging: European Society of Cardiac Radiology. Available from: http://escr.org/cms/website.php?id=/en/education/diploma.htm. CT Coronary Angiography Service Specification: British Society of Cardiovascular Imaging. 2012. 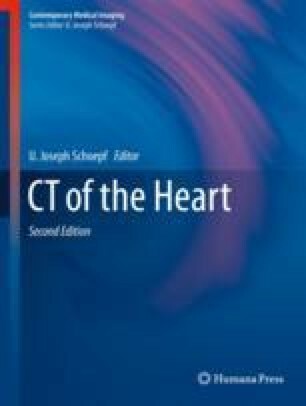 Available from: https://bsci.org.uk/standards-guidelines/ct-coronary-angiography-service-specification. Global health risks: mortality and burden of disease attributable to selected major risks: World Health Organization. 2009. Available from: http://www.who.int/healthinfo/global_burden_disease/GlobalHealthRisks_report_full.pdf. Global atlas on cardiovascular disease prevention and control: World Health Organization. 2011. Available from: http://www.who.int/cardiovascular_diseases/publications/atlas_cvd/en/.